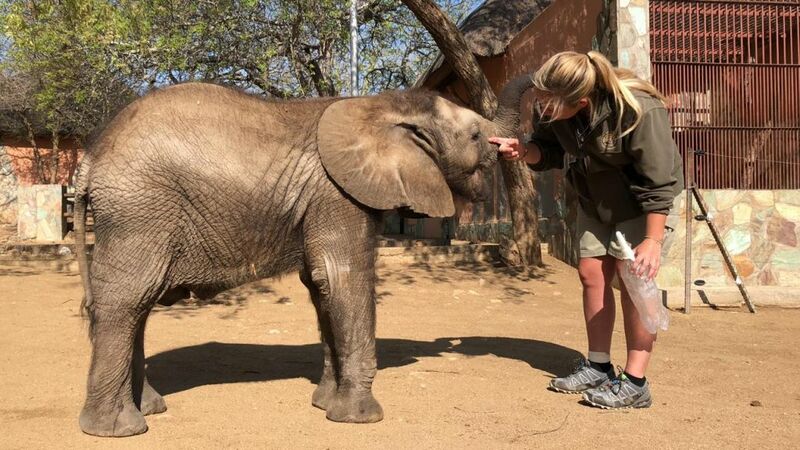 The past two weeks have been tough for orphaned elephant Mopane, who we estimate to be around 11 months old now. 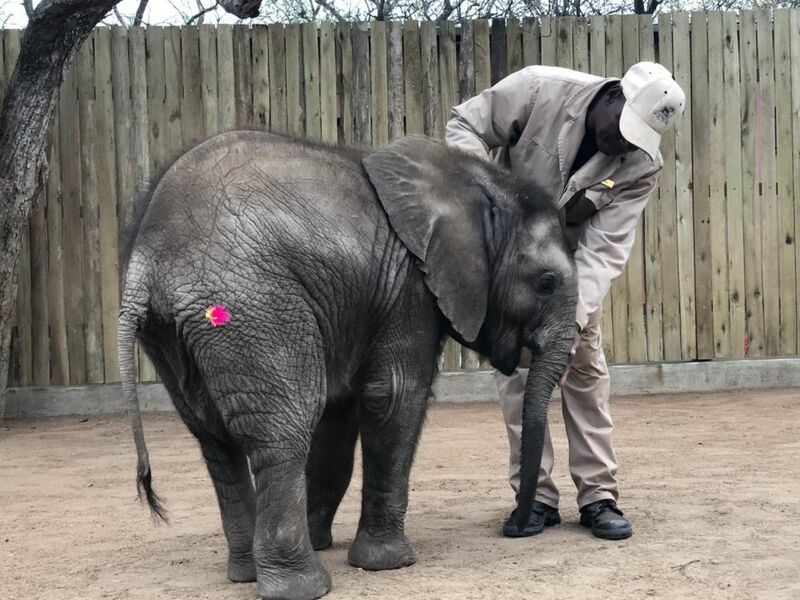 This little elephant is normally so full of inquisitive energy and high spirits, that it was a huge concern and scare, when his condition started to change. 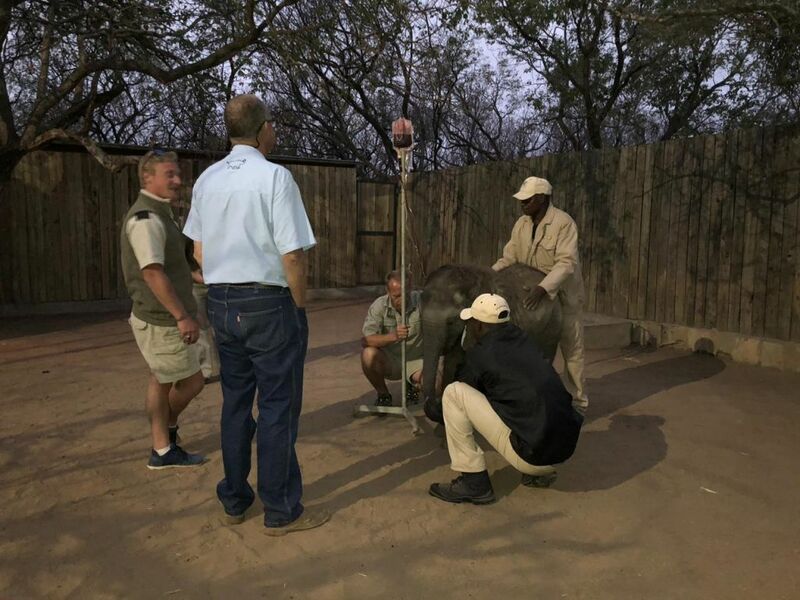 Mopane showed a decline in his energy levels, which was a result of a loss of appetite. He would not finish his milk bottles, and was not grazing as much as he normally does. 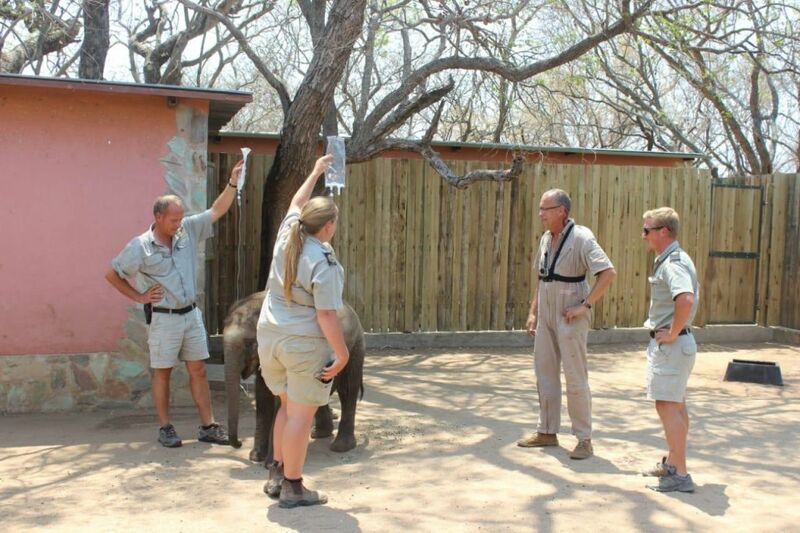 Wildlife vets, Dr Peter Rogers and Janelle, were called immediately, assess Mopane’s condition. They decided to do a standing sedation, to be able to give him a drip, which ensured he was kept well hydrated. During this process, they took blood samples which were sent to a laboratory to get a better understanding of what we may be missing through visual observation. During the wait for the results, Mopane’s condition did improve slightly, however he was still not his bright and sprightly self. The blood results indicated low albumin levels, meaning he was not absorbing protein from his diet. This is commonly seen in rhinos, as a result of ulcers. 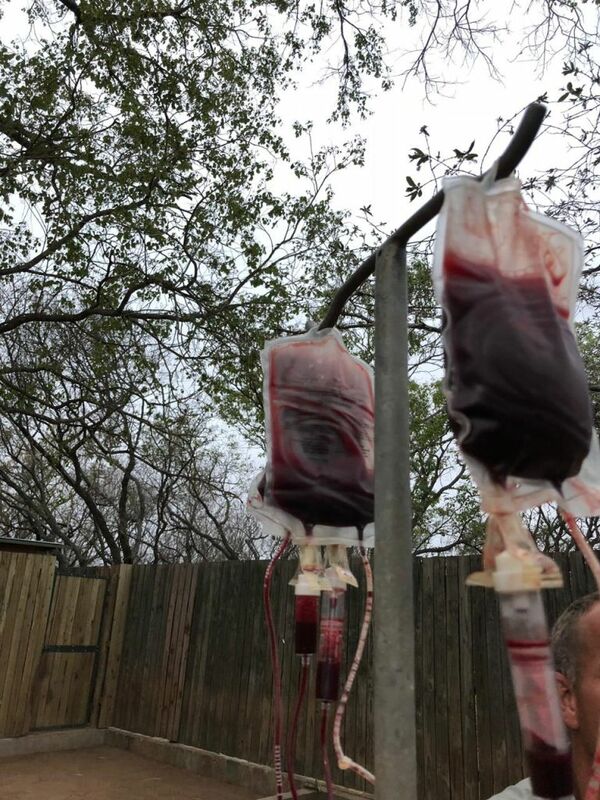 The decision was made to give Mopane a blood transfusion. 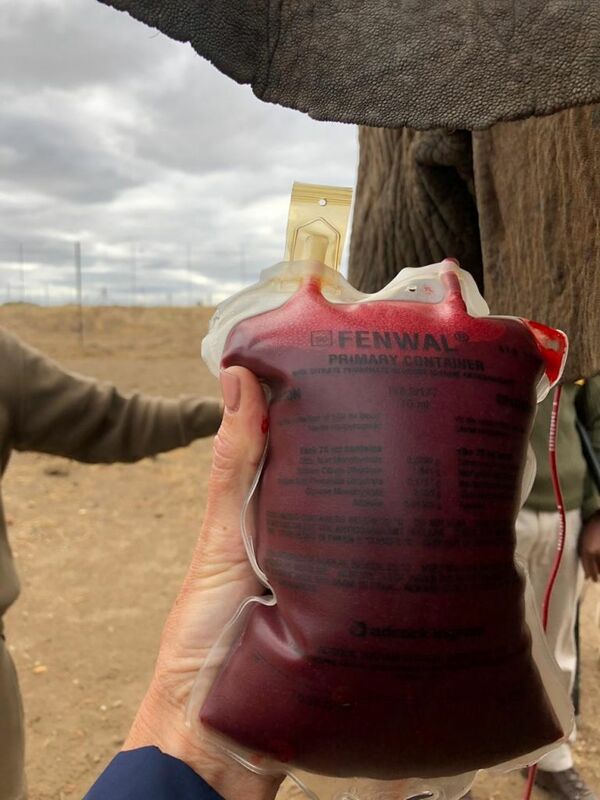 On Thursday 17th October, Dr Rogers and Janelle visited the Camp Jabulani herd, to take some blood from one of the adult elephants. 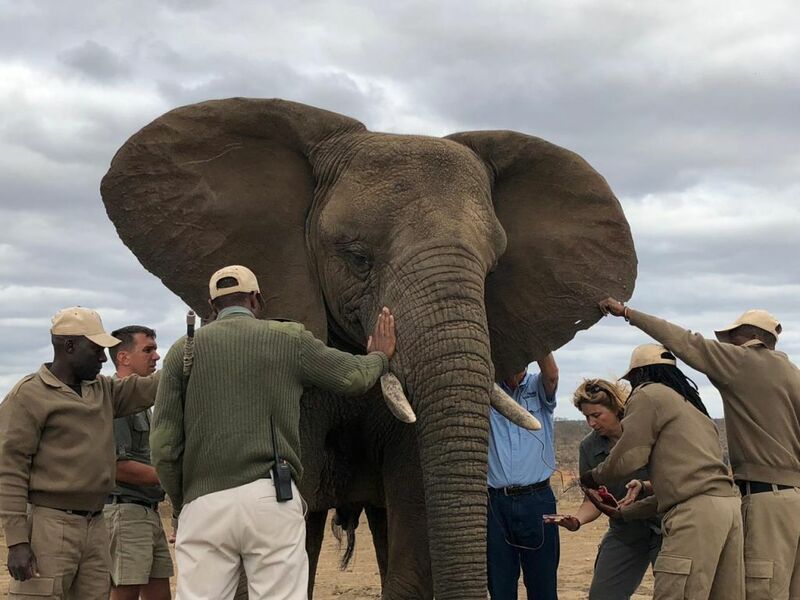 “Setombe”, one of the older female elephants, was sedated with BAM, (refer to a previous BLOG for more information about BAM), which allows for a standing sedation. 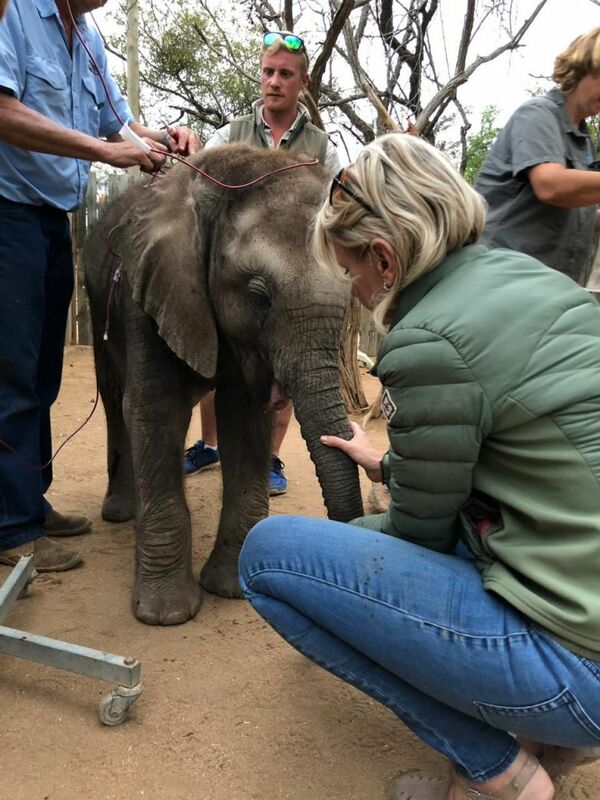 Seven pints of blood were taken from Setombe, which was done quickly and smoothly, not causing her too much stress, and she was soon back with the Jabulani herd again. Just after 4pm on the same day, we started with the blood transfusion to Mopane. It is never an easy process to dart such a young animal, even when using a light and effective tranquilizer such as BAM. 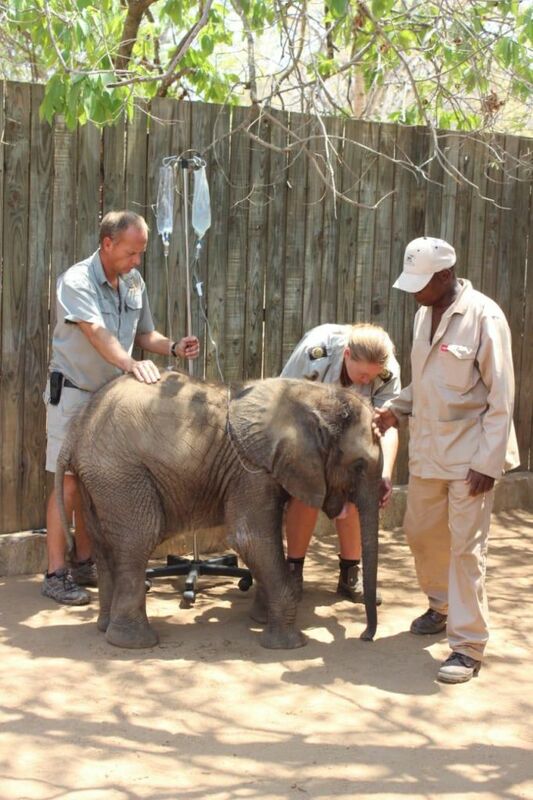 Adine and Joshua, (one of Mopane’s carers), were there through the entire process, calming Mopane and soothing him. At times when he got drowsy, the rest of the caretakers moved in to keep him steady. 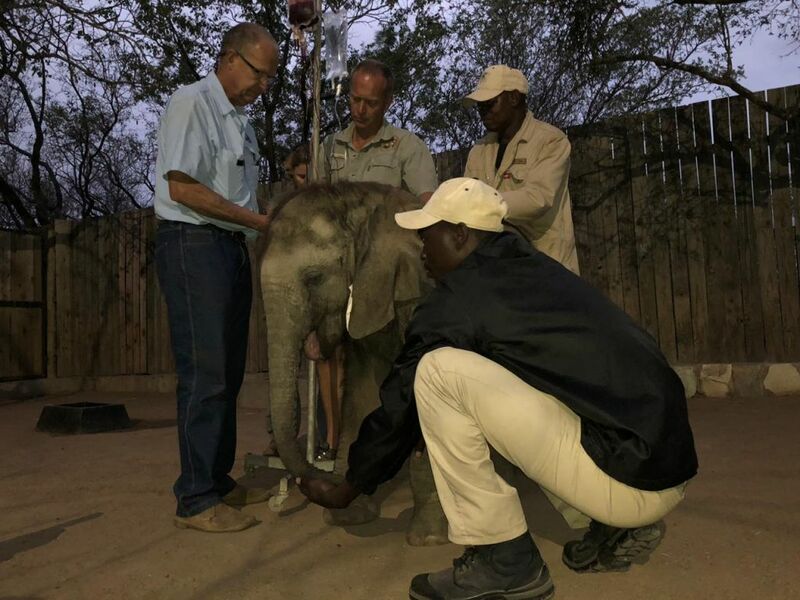 Dr Rogers and Janelle were quick to locate a vein on each of his ears, and added a drip and plasma for the transfusion.The plasma protein drip is rich in albumin which is also beneficial for Mopane. At the same time he was treated for cramps and a possible ulcer, as well as administering minerals and vitamins, antibiotics and a de-wormer. The entire process too over two hours, as it was a cold evening, and the cooler temperatures cause their veins to contract, restricting the easy of flow of the liquids. Four bags of blood were successfully transfused. It was a very stressful few hours, especially for little Mopane, but we had to do it. That evening we watched with much anticipation, to see how his bottle feeding would go. For the first feeding he was not very hungry, but fortunately, later that night, he accepted his second bottle. His energy levels are not where we would like to have them yet, however it is a huge improvement from where he was. Thank you for all the messages we received an apologies if we do not attend and reply to each one, but we will ensure to communicate any advice given to Dr Rogers, Adine and the curators, who have Mopane’s best interest in heart, and channeling their energy towards Mopane, where it is needed most. Keep feeling better you special little chap we are all rooting for you. Keep strong little Mopane! I’m praying for you and for a full recovery and wish you will have a long healthy life ahead of you! Great work Dr Rogers and all Mopanes carers.You all do wonderful work. Sending positive energy for Mopane’s healing. May he return to his sweet self in the very near future. He is in the best of caring and loving hands. Thank you! Thank you very much, Keren. Thank you for all you do. Milanese is so lucky to have such a caring group doing all they can for him. Will continue to send healing thoughts Mopane’s way. You all stay strong. We appreciate your kind words and comment, Monica. Thank you. Thank you so much Yvonne. prof prem raj pushpakaran writes — 2018 marks the 200 years since the first human-to-human blood transfusion! !